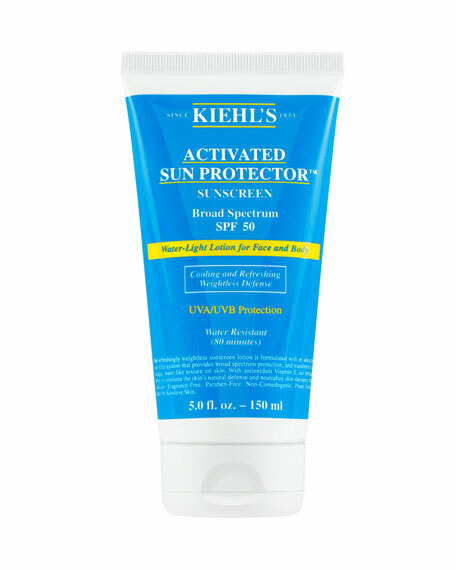 Kiehl's Since 1851 Activated Sun Protector 100% Mineral Sunscreen Broad Spectrum SPF 50, 5.0 oz. Kiehl's Since 1851Activated Sun Protector 100% Mineral Sunscreen Broad Spectrum SPF 50, 5.0 oz. This lightweight, daily UV protection offers a powerful shield from sun and environmental exposure while brightening and hydrating the skin.